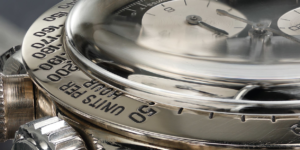 There is nothing almost as extravagant than gifting an 18K Gold Rolex Daytona as a way of appreciation. 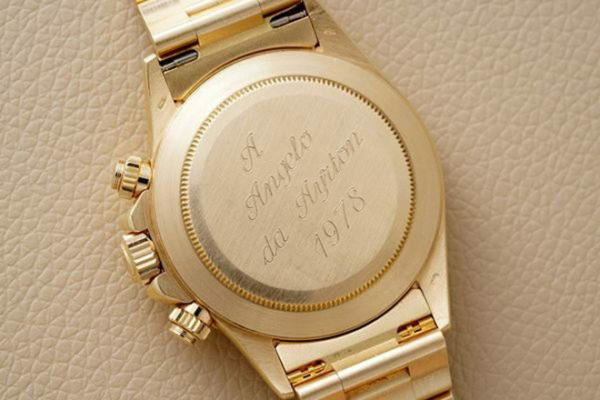 Legendary Brazillian Formula One Driver, Ayrton Senna, gifted his mentor Angelo Parrilla a historic timepiece to thank him for steering his way through a career that culminated in three Formula One world championships before Senna’s untimely death in 1994. 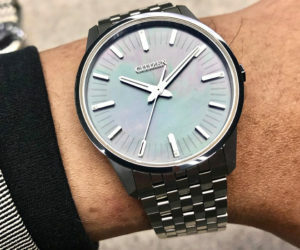 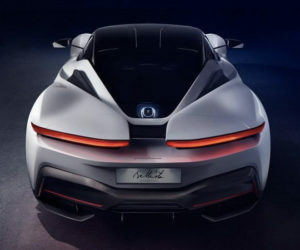 40 years later, this timepiece is now up for auction at Phillips’ The Geneva Watch Auction: NINE at Hôtel La Réserve on May 11-12. 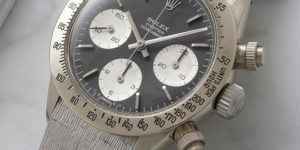 The Rolex Daytona was inspired by race car drivers and enthusiasts, the mechanical and self-winding chronograph embodies the spirit of racing, which is why this gift to Parrilla also represents the valuable relationship between the two legendary racers. 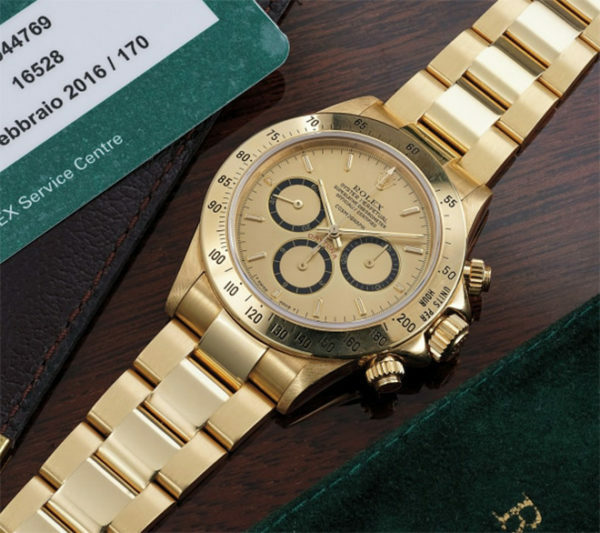 While the 18K gold Daytona is indisputably stunning, this timepiece is also equal part inherently significant to the world of car racing. 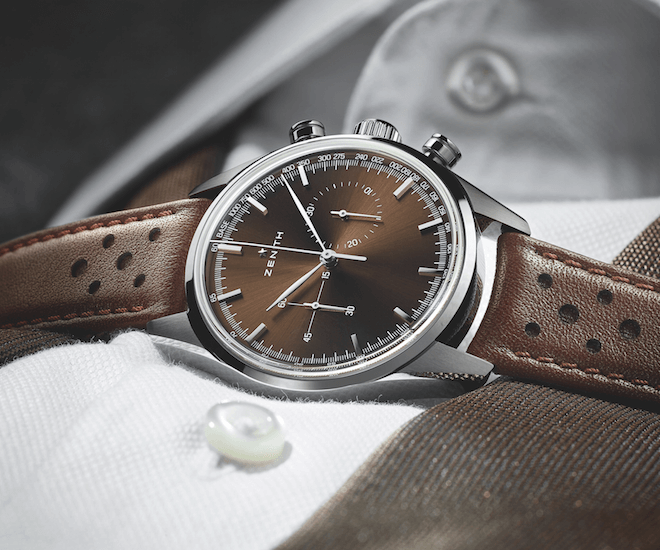 With race car drivers in mind, this Daytona Chronograph embodies the historical journey of Ayrton Senna. 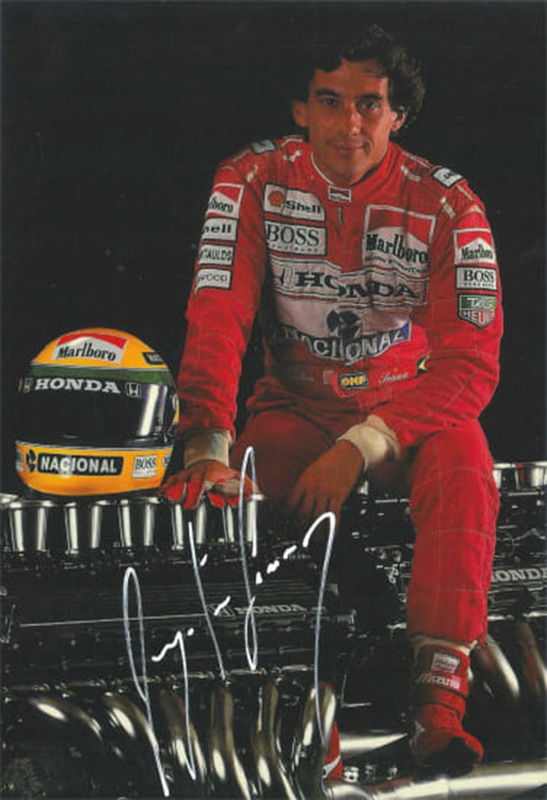 Known as an intense, ambitious figure, Senna was one of the world’s highest-paid athletes of his era and at the time of his death had a personal fortune reportedly worth $400 million. 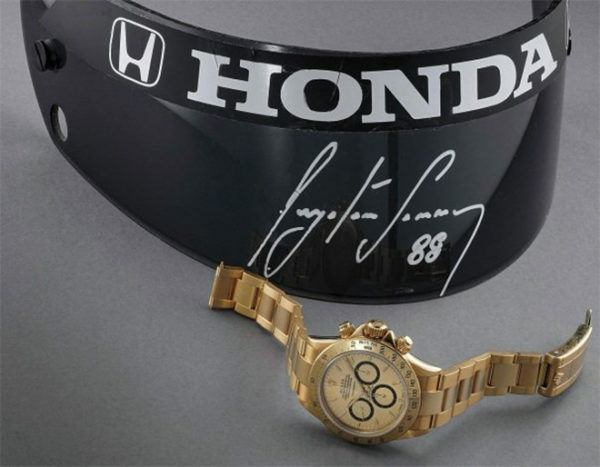 The winning bid at the auction can expect to bring home an F1 helmet face shield that features Senna’s signature and dates back to 1988, a letter from Angelo Parrilla confirming the watch was gifted to him, photographs, and the original box, service guarantee, pouch, and product literature. 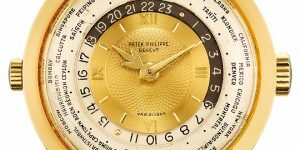 Auction house Phillips expects the lot to fetch between $101,000 and $201,000.